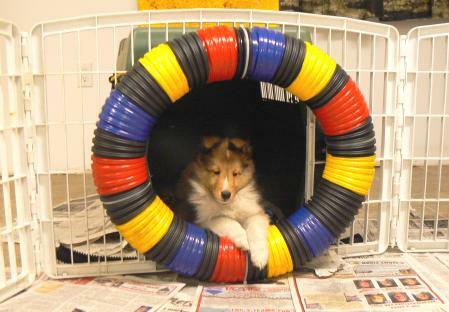 Here at Herdabout Shelties the puppies well being is our utmost concern and first priority. Please be sure to read and understand our Costs & Guarantees before filling out this question Form. Wanting to purchase a puppy? Each puppy has an individual personality and temperament and we try to best suit the individual puppy with the home that the puppy would perform best in. Therefore we need to find out some information about you and your family in order to match you with a puppy that you will be pleased with. If you could kindly answer the questions below it will help us select the puppy with the best suitable personality. It would not be responsible for us to place a dog with a high drive for agility or herding into a home that wants a calm, laid back, couch potato-type dog. We don't mean to scare anyone off, or offend anyone in any way with these questions. We just want YOU to be very happy with the puppy you purchase, and we want THE PUPPY to be happy too. Once you have sent the online question form, can you please send a short separate email to us at sheltieland@rogers.com so that we can confirm that we did in fact receive your online question form because sometimes they go to "cyberspace", and we want to make sure we receive them. 1. Have you ever owned a sheltie before ? If so, what about their personality did you like ? 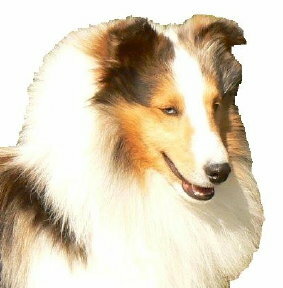 If you haven't owned a sheltie, please tell us a little bit about your experience with this breed. 2. Do you intend to compete in any dog sports, such as agility, obedience, herding, or tracking ? 3. If you are looking for a performance dog, please answer this group of four questions. Otherwise, you may SKIP DOWN to Question # 4a. Please tell us what accomplishments and titles you have put on any current or former dogs that you trained. What dog training facility have you attended with current or previous dogs ? What training methods do you use ? What trainer or what author do you consider to be the most influential in your training style ? 4a. Do you live in a house or an apartment ? 4b. If you have a yard, is it completely fenced and escape proof ? If not currently fenced, what plans do you have if you get a dog ? 4c. How many people live in your household ? If there are children, please tell us how many & their ages. 4d. Please tell us about any other pets you currently have in your household. 5a. Are you looking for a puppy or an older dog ? 5b. What is your preferred timing for getting a Sheltie ? 5c. Does it matter if the Sheltie is male or female ? 5d. Do you have a preference in terms of coat colour ? What are your top two preferences ? 6a. If required, would you be able to give us a reference as to how you care for your dogs ? We prefer to hear from your vet, groomer, or trainer. 6b. If required, would you allow us to do a home inspection to see where and how our puppy/dog will be kept ? 7. Please tell us how you heard about Herdabout Shelties. Was there a specific person who recommended us ? Please use this space to add in any other details, comments or questions you may have. Check the box below and please press the SUBMIT NOW button at the lower left once you have this form completed. Unfortunately we are getting too much robotic spam. Please check this box to confirm this form was filled out by a loving and caring human interested in a puppy dog. Are you ready to submit your information? Or do you want to erase this form.